Take the most elaborate technologies, or maybe just even Google, Facebook or IG, they all are in a constant development to reach a wider audience and better results… This is exactly how we, as the team of A PART Publication, felt : maybe time had come for something bigger! Bigger might not be the right word in what we are achieving today, but this is how it feels for us! For 3 years, A PART has developed a beautiful creative family of artists, writers, musicians, photographers and stylists ( to mention just a few ) working together and all sharing their best work for the whole world to see. We have always poured on the pages of the Collector what makes our hearts beat: from old to new, from junior to senior, with the same respect and the same love! And yet we all felt publishing once a year was, in a way, too ephemeral. We had much more to share and explore and as a result came the creation of, as we jokingly call it : “the little sister”, A PART Magazine! 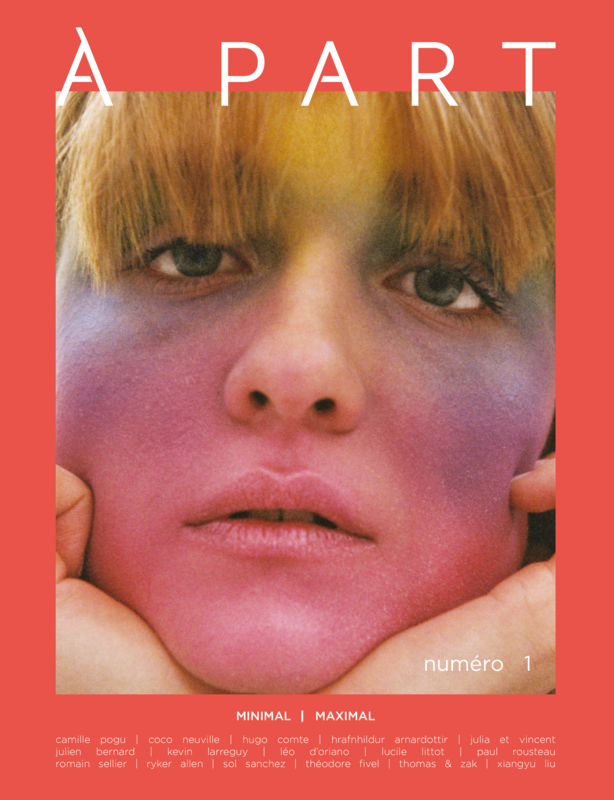 Just like the previous issues of A PART, the magazine will focus on what we think makes today: exalting youth and celebrating our icons, creating our own beauty standards, like an experimental oxymoron exploiting the literal, subjective and objective definitions of each subject… And most of all, a voice for the creativity and freedom of our contributors! Minimal / Maximal came to us as an evidence: we wanted to represent the intrinsec link between the Collector and the magazine. Through the combination of both or treated separately, we looked into all their different interpretations from botanical gardens to sweaty underground parties, with the audio background of John Cage’s 4.33 silents in opposition to the visual musicality of Kraftwerk.